I know it is possible to Quantum Entangle Photons and Electrons, is it possible to Quantum Entangle Electromagnetic fields or any of the fields of nature? If this is possible it could allow the construction of Jump portals via Quantum Entanglement for the instant transmission of matter to another place. From what I understand Quantum Entanglement is caused from the synchronization of spin states of Photons and Electrons which bosons can become Quantum Entangled, Would it be possible to cause the synchronization of other spins such as those of gluons, because if you could Quantum Entangle Gluons you could construct solids,Liquids, and Gases with Quantum Entanglement properties that were as if you touched the solid that your force would be transported to another location via Quantum Entanglement Information Exchange. If you Entangle two Gluons it would mean that the two solids themselves is transmitting information between the gluons which construct protons and neutrons then the electrons could be Quantum Entangled, which would turn your solid into a portal to another solid's location such as a wormhole almost. Basically, the concept was derived from this idea that instead of using two Entangled Black holes as a gateway which light cannot escape to transfer information that you can Entangle Gluons and Electrons of Atoms and make a material that acts like a portal via Quantum Entanglement when you came into contact with the material it would be as if the space between it and the other entangled gluons that were entangled had vanished as Quantum entanglement would transmit your touch of the matter instantly to the other side along with the forces of the contact as the Entangled Matter, It would be acting as a sort of Quantum Entanglement Jump Portal, you could even construct it out of a fluid and actually submerge into the other location and be transmitted as a matter field to the other location, if Gluons and Electrons can become entangled with another solid. 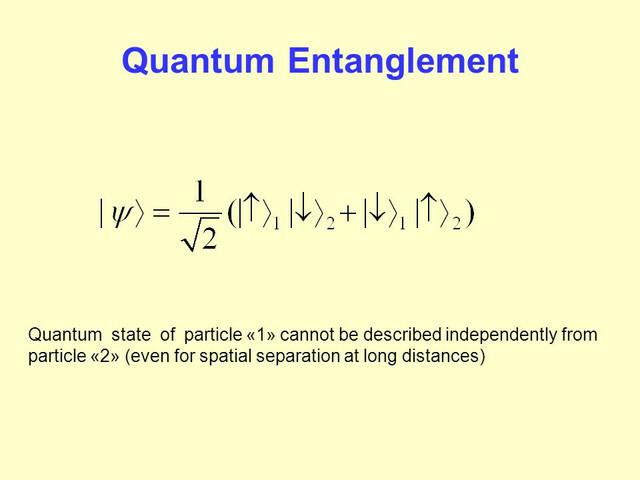 The equation for any Quantum Entangled Material would be the following. This equation would be no different for the material that you came in contact with so it is physically possible to construct a Quantum Entangled Electron orbital and possibly Gluon, Matter field which would act as apart of another material far away from the location of one side, if the two materials can not be described Quantumly as independent of the other what stops you from using the Quantum Entangled materials as a Transmission gate for forces and matter if the material's electrons and Gluons can be bulk Quantum Entangled. 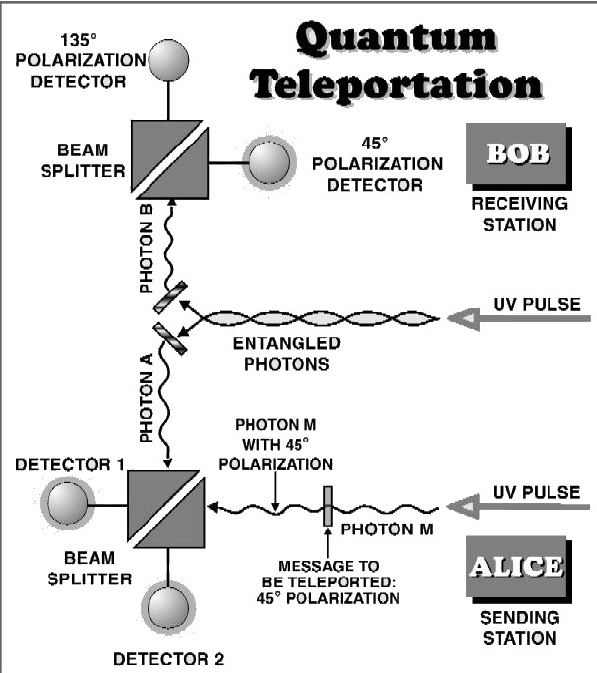 It goes back to Quantum Teleportation if you can use photons to teleport a photon then why not something large like a person when you entangle Gluons to teleport a gluon and Electrons to teleport a electron? 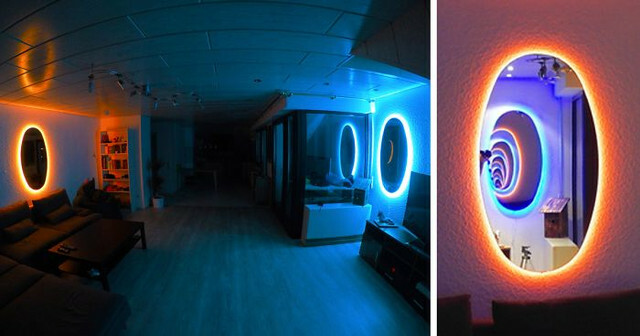 Mirror, Mirror on the wall if entangled how far can you peer? If your Gluons can be entangled and transmit a force, then why not matter which is just a compilation of forces. Edited by VictorMedvil, 16 April 2019 - 03:15 AM. All that is way too abstract, vague, and speculative for my tastes, Vic. But the mysterious quantum entanglement is one reason that many have said that the premises of SR must be abandoned if GR is to be reconciled with QM. 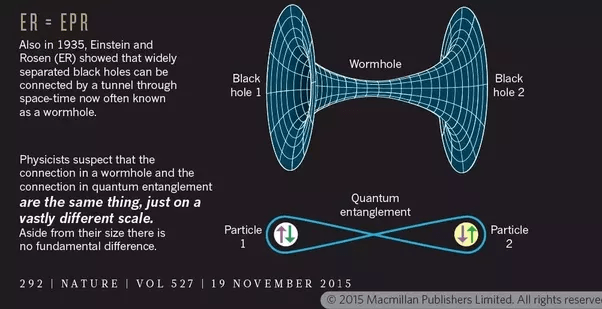 Entanglement suggests that information can travel much faster than light. At an infinite speed (instantaneously) in fact. Edited by VictorMedvil, 16 April 2019 - 01:18 PM. Quantum Entanglement has been observed by everyone pretty much and it allows the at a velocity faster transmission of data between entangled states. ...the mysterious quantum entanglement is one reason that many have said that the premises of SR must be abandoned if GR is to be reconciled with QM. And, as I've said before, this is one reason that theorists like Popper and J.S. Bell has said that SR must be dumped in favor of theories positing absolute simultaneity, i.e. (the pre-unification) type of theories. Edited by Moronium, 16 April 2019 - 01:30 PM.